For single or triphase on board supply systems with constant voltage, constant frequency and variable current limitation. The units can optionally be fitted with a synchronisation device that enables connectivity with existing circuits. 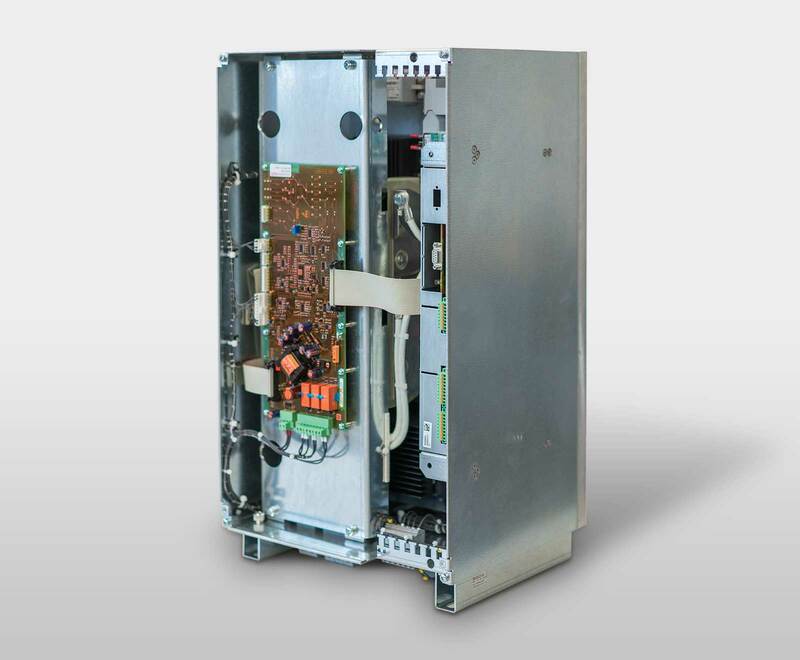 In combination with a VF series sinus filter and a triphase isolating transformer out-of-balance capable three-phase on board supply systems like for example 400V /230V 50/60Hz can be realized.